Others around the table had their noses scrunched up and lips puckered, non-verbally saying they had just tasted the most disgusting beverage possible. Tavern Schlenkerla, Birthplace of the Original Schlenkerla Smokebeer. My sister Lizzy and I sat on wood chairs topped with sweet green and white gingham around a wood table with four others from our Heart of Germany Christmas market tour with Viking River Cruises #VikingSocial. We and dozens of others opted for the additional beer tour following the walking tour of adorable Bamberg with a local guide. 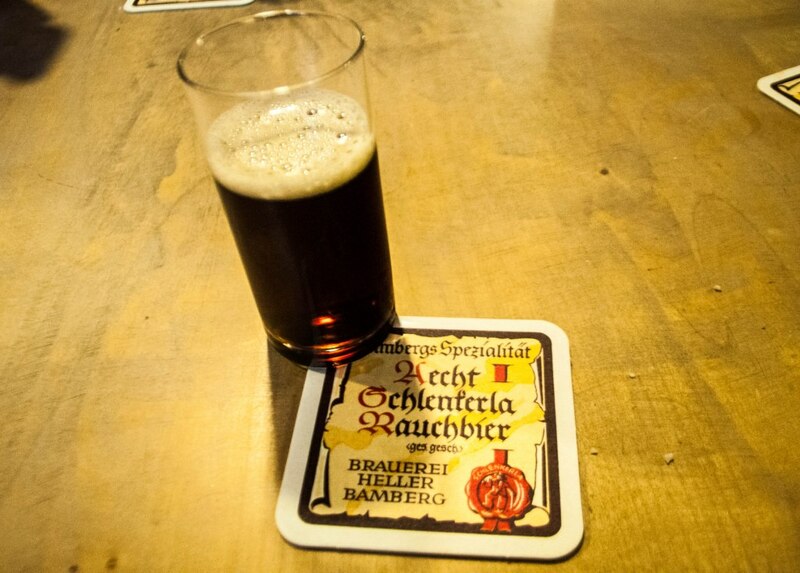 Rauchbier, or Smokebeer, Tastes Like Bacon But Isn’t Everyone’s Cup of Tea, Bamberg, Germany. This dark chocolate-colored, smoky-flavored beer that divided the group into those who enjoyed it from those who despised it was a “Rauchbier” or smokebeer. Hundreds of years ago, I’m told all beers were rauchbiers made by drying green brewer’s malt over open fires resulting in the smoky flavor. Schlenkerla Smokebeer Brewery Across from the Schlenkerla Tavern. 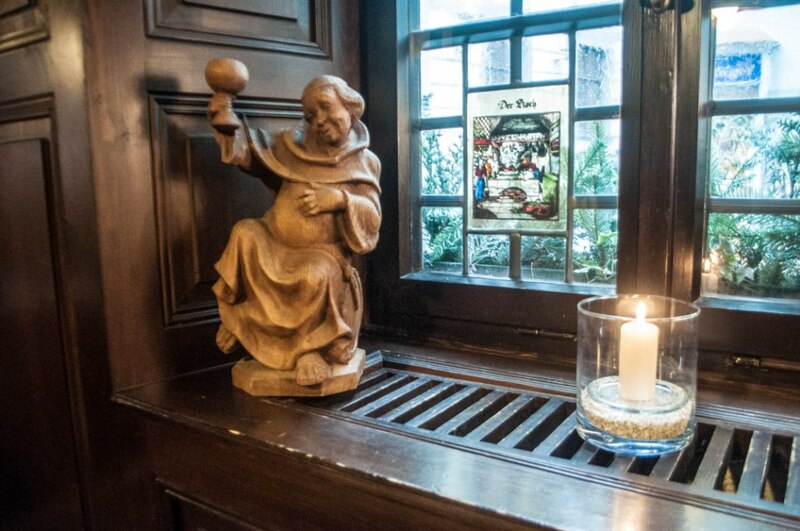 Modern beer brewing bypasses this smoking process but some of Bamberg breweries continue the heritage. Schlenkerla and Spezial brewpubs have been producing smokebeer for about 200 years. Malt is dried over fires made from beech wood, resulting in the hearty, smoky, bacon-like flavor. What Goes Well With German Beer? Soft, Warm German Pretzels. The beer sampling at Tavern Schlenkerla included tastes of a light blond beer, Hefeweizen (delicious wheat beer with a hint of citrus) and the rauchbier. 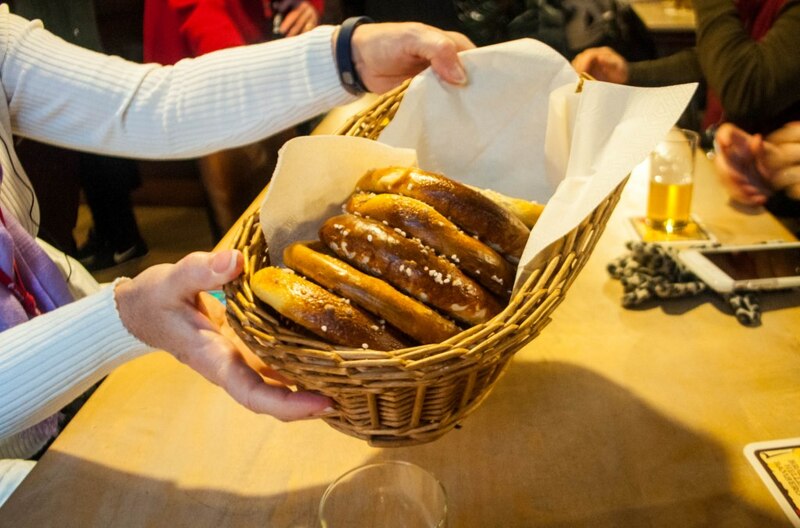 A big, soft, luscious hot pretzel perfectly salted accompanied the tasting. 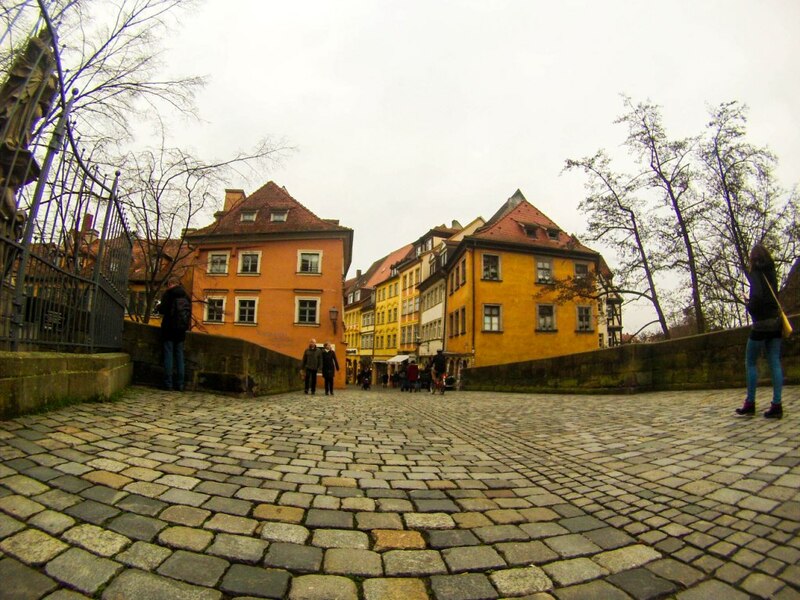 This cultural excursion was an optional tour following the walking tour of Bamberg, in which I fell in love! The city has lovely examples of medieval structures along with baroque and Romanesque architecture. It’s one of the few German cities not destroyed by WWII and was named a UNESCO World Heritage Site in 1993. 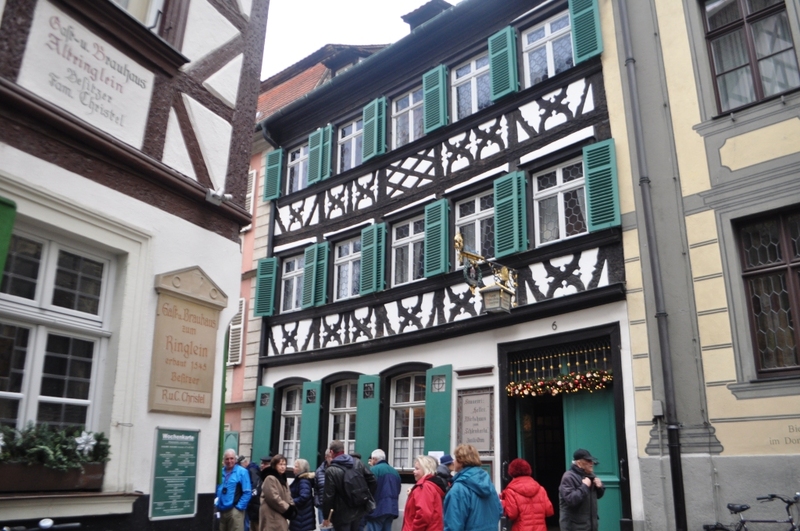 The guided walking tour with local guide Ben, who’s studying to become an English teacher, included visits to Bamberg Cathedral (consecrated in 1012), the City Hall built on rivers, and of course, the Christmas market. 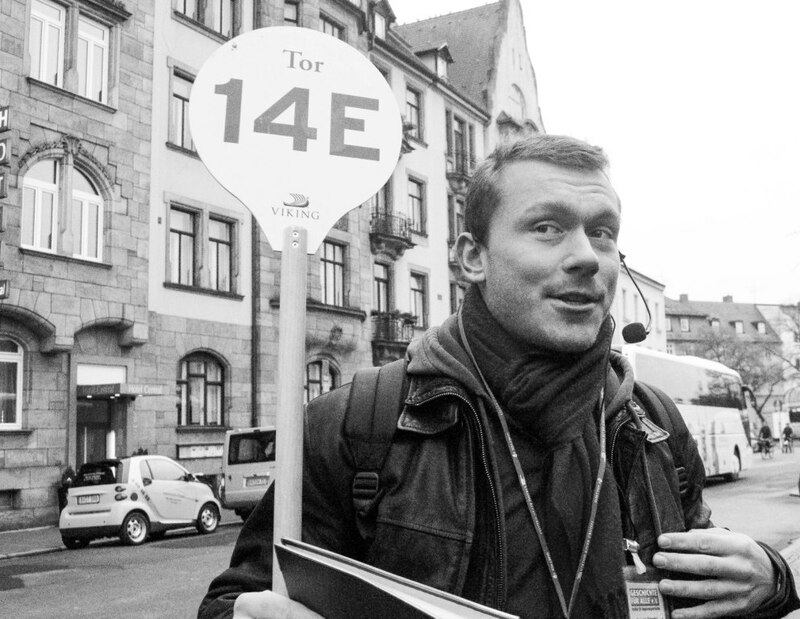 Viking River Cruises’ Local Guide Ben in Bamberg, Germany. Rauchbier is an acquired taste and would be delicious with a bold, spicy bloody mary mix – almost like a Mexican michelada – or accompanied with a selection of cured meats. Although I purchased a few bottles to bring home (a pain packing but worth it), I didn’t save a bottle for myself. Hope my friends I gifted these bottles to appreciate the smoky flavor and history. 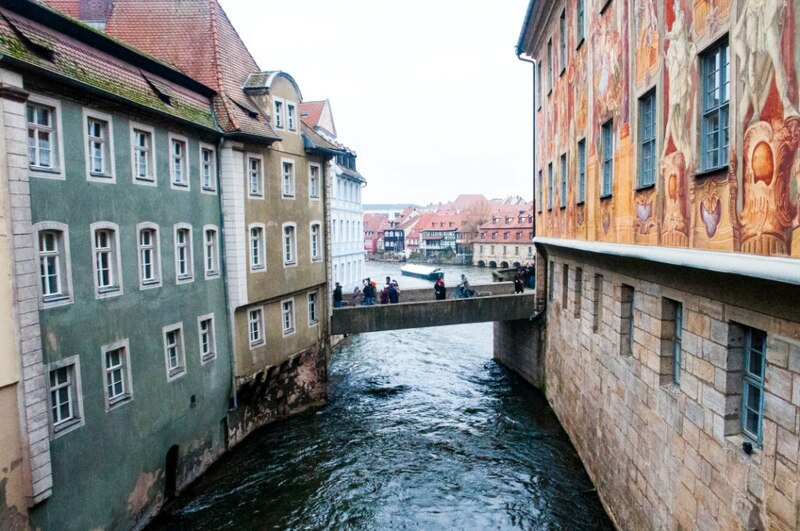 Bamberg, Germany, is a UNESCO World Heritage Site. View additional images from the trip on my Flickr stream. 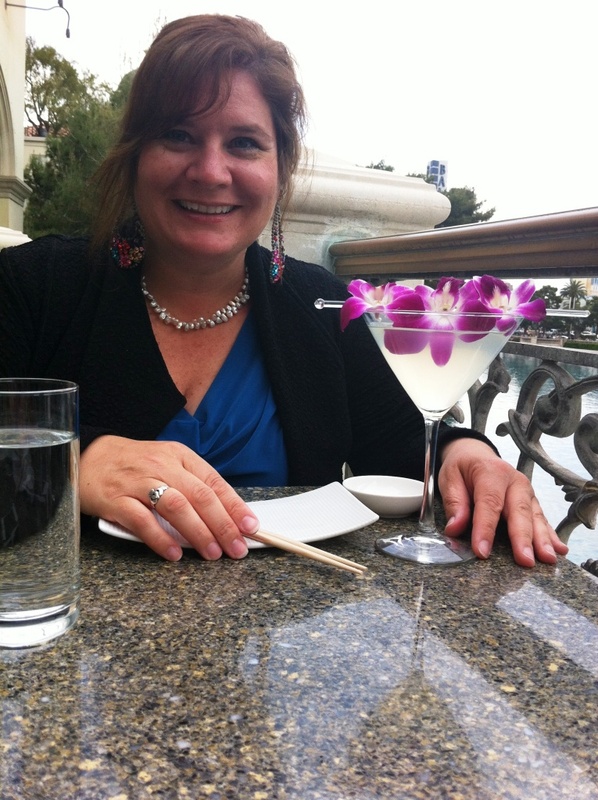 Disclosure: I was an invited guest of Viking Cruises’ public relations agency. Opinions are my own and my posts have not been reviewed by Viking Cruises or their representatives. This post contains affiliate links to support this blog, my traveling habit, and my special-needs dog.